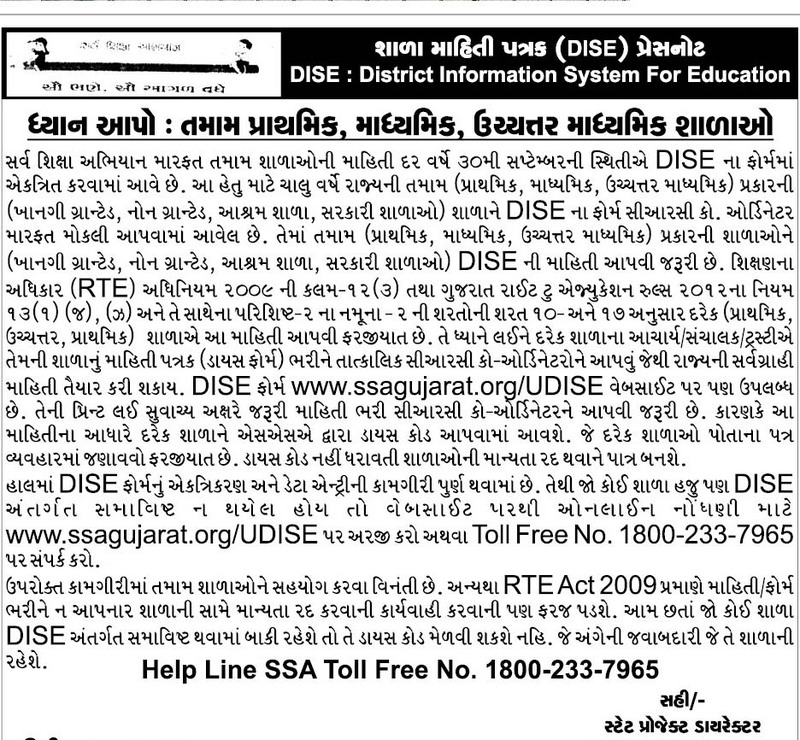 All Primary Secondary And Higher Secondary School Mate Shala Mahiti Patrak District Information System For Education ( DISE ) Mate Important Notice Chhe Ke SSA Gujarat Marfat Tamam School Ni Mahiti Dar Varshe 30 September Ni Sthitiae DISE Form Ma Ektrit Karvama Aave Chhe. Chalu Varshe Rajyni Tamam Prakarni Shalane Aa Form Mokli Aapvama Aavel Chhe. Tema Mageli Tamam Mahiti Aapvani Chhe. To Aa Mahiti Bhari Tatkalik Mokli Aapva Vinanti.